Garnet 'Sugar' Hart, the former national amateur champion, won his seventh fight as a pro on this day in 1955. His victim was Tiger Rankin who fell in round two of the Convention Hall bout. 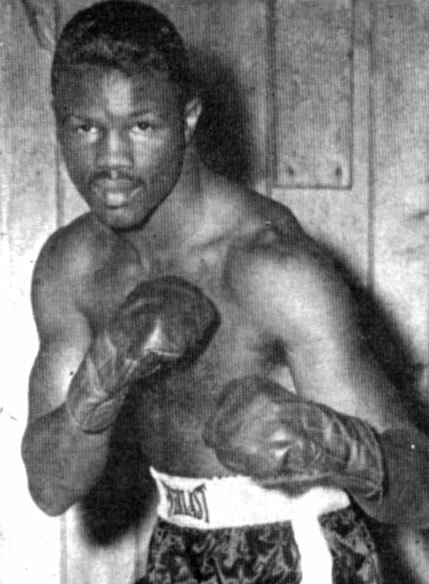 Hart launched his career in 1954 with a one round KO of Richie Johnson at the Plaza in Philadelphia. By the end of the year, he had zipped through five more opponents. Beginning 1955 with the KO of Rankin, his career was off to a flawless start - seven straight knockouts. But Hart's winning streak wouldn't last too much longer. Just two bouts later he would lose for the first time - by first round KO to Fred Terry, the pride of Germantown. Undaunted, the welterweight from North Philly then posted twelve straight subsequent wins, fighting his way to contender status. Many thrilling bouts followed, including an all-Philly, all-time classic against Charley Scott in 1959. Although he never challenged for a world title, Hart was an exciting and popular warrior who fought to a 29-7-2 (22 KO) record.